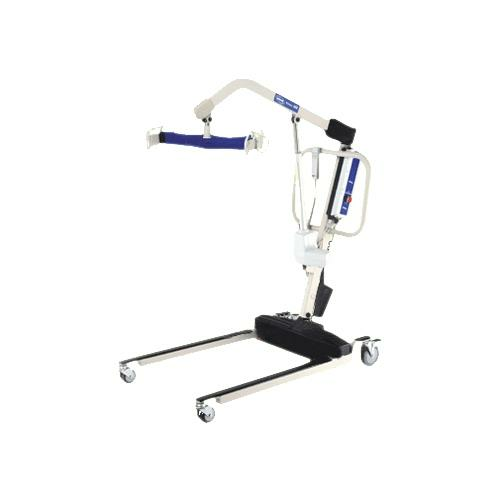 Invacare Reliant 600 Heavy Duty Power Lift with Power Opening Low Base is designed to help in reducing the possibility of caregiver back injury and to ensure dignity in patient handling. It makes transfers of bariatric users smooth. The broad lift range allows access to a variety of surfaces while low-friction casters make rolling the lift easier. Dimensions Under Bed Clearance: 4.5"
Base Width Open: 39.5", Closed: 25.5"